Sure, we love carnival sweets, but what’s even better? Sweet pastel treats for your face! The founder of cosmetics brand Zoeva knows what she’s doing. 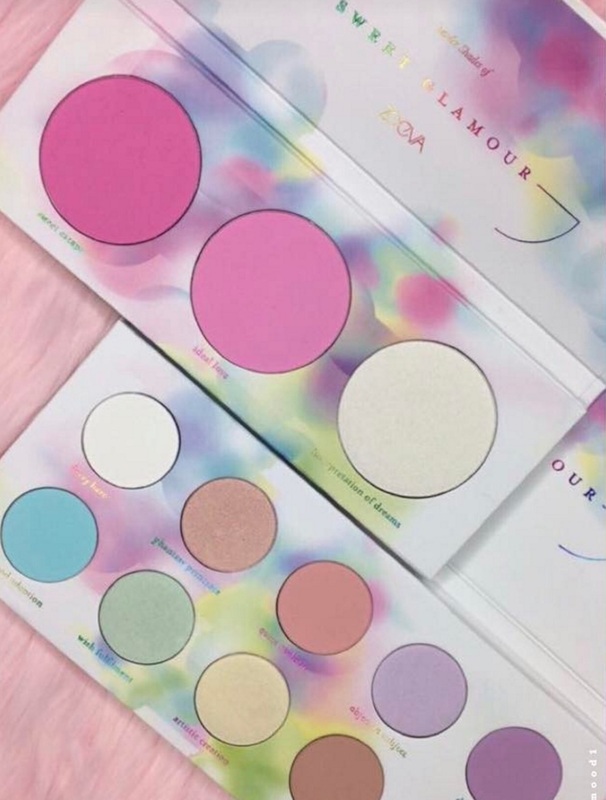 Zoeva Cosmetics is prepping for their seasonal launch of palettes, including a blush and eyeshadow palette. Trust us, they are going to give you a sweet tooth. With a sneak peek at the two new palette shades, we are already craving the entire collection! Shade names like Daydream and Sweet Escape have us picturing a perfect sunny day, lying in a field of flowers (holding these two palettes, of course)! You won’t have to wait too long to get your hands on the Sweet Glamour collection, because Zoeva’s eyeshadow and blush palette will be available on April 10th! The collection includes an extensively sweet eyeshadow palette with 10 shades. The eyeshadow hues include every pastel color imaginable, both in shimmery and matte finishes. See for yourself how perfectly buildable these shades are in the video below! We love all of the bright shades! The Sweet Glamour collection also includes a soft blush palette, with two full-size blushes and a highlighter. The bright pink blush is called Sweet Escape and the cotton-candy blush is called Ideal Love. The frosty white highlighter is called Interpretation of Dreams, and we think it would be an amazing stand alone highlighter or blended with the rosy blushes. The Zoeva Sweet Glamour Collection is the perfect addition to our favorite spring time treats! Keep your eyes peeled in the coming weeks for more details about these palettes. Snag them both starting April 10th!